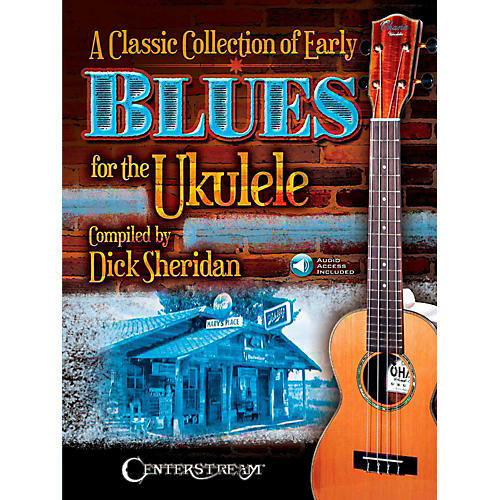 29 essential early blues selections for ukulele made popular by Bessie Smith, Louis Armstrong, W.C. Handy, Jelly Roll Morton, Woody Guthrie, Leadbelly, and other legendary singers, bands and instrumentalists, past and present. Includes: St. Louis Blues • Memphis Blues • Jazz Me Blues • Yellow Dog Blues • Aunt Hagar's Blues • Worried Man Blues • Farewell Garden Blues • and more. Includes access to audio tracks online for download or streaming.